Bawds is an amateur production company based in Cambridge. We usually present three main house shows a year as well as one or two studio or drama festival productions. We are currently accepting submissions for our April 2020 production. Closing date for applications is 31 March 2019. Bawds was founded in 1981 in Cambridge, initially to present productions of restoration plays. It was later decided to broaden the theatrical scope of the company by presenting a wider variety of pieces. As a result of this decision, Bawds has since staged many plays by modern authors. The company has used various types of venues for its productions, ranging from college gardens and studio spaces to traditional proscenium arch theatres. Now recognised as a leading Cambridge amateur dramatic production company, we present three major productions a year and one or two festival or studio productions, some of which have been toured as far as The Edinburgh Fringe Festival. Bawds has no formal membership. The company is administered by an elected committee; current officers and committee members for 2018 are: Rosemary Eason (Chairman), Colin Lawrence (Treasurer), Joyce Fenton (Secretary), Sean Baker (Publicity Secretary), Maddie Forrester (Minutes Secretary), Helen McCallum, Cathy McCluskey and Guy Marshall. In accordance with the company's rules, all of the directors, actors, and backstage team members who have been actively involved in productions during a financial year are invited to attend the Annual General Meeting which is held in February. We have an ongoing policy of considering submissions from local directors and open auditions are advertised for all our 'main-house' productions. 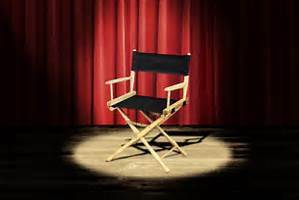 For studio production submissions, open auditions are not always advertised as it's left to directors to determine whether to cast by audition or by invitation. They have the option of submitting a production for consideration after having already assembled their casts and production teams. We also, on occasions, accept submissions for drama festival productions, but this type of show is only approved subject to available financial resources. Those interesting in directing for the first time may find it useful to 'shadow' a director to see how he or she works. If you would like to become involved in a production in this way, you can approach any of the directors to ask if they are prepared to help. Directors' contact details are shown on the relevant production page. All persons who have participated in any capacity in any Bawds production are invited to attend the meeting. Nominations for the Officers (Chairman, Treasurer, Secretary) and Committee Posts (six posts) are invited and should be emailed to Bawds Secretary Joyce Fenton. The winners of The Golden Plume Award for acting and the Technical Award are announced at the Bawds AGM. They are voted for by the Bawds Committee Members, who are not eligible for nomination. Votes are collated by an independent auditor. Date & Venue to be announced. We hope that you will be able to join us for the meeting and some light refreshment.